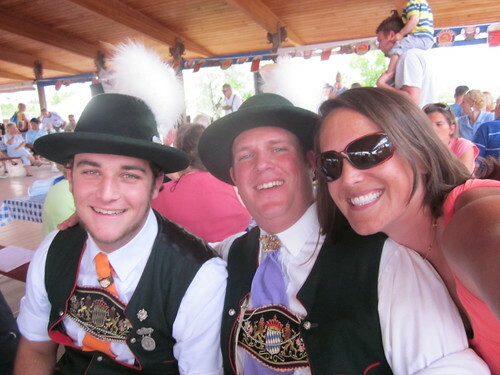 So, apparently I’m the only woman who doesn’t own a dirndl. 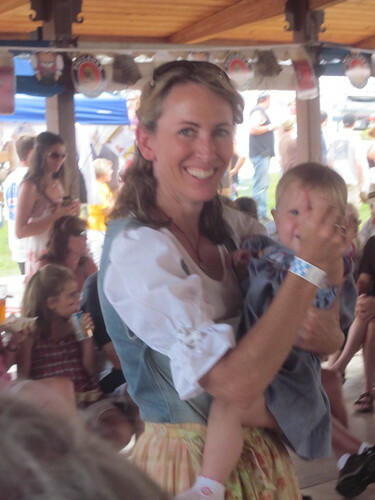 In all fairness, I didn’t even know the word dirndl until last week, when I happened to mention to my friend Sheila (who is German) that Finny (who is not German) loves a trip around the world to wear a costume and drink beer from a 1/2 gallon glass. Finny is in town this weekend? WELL! 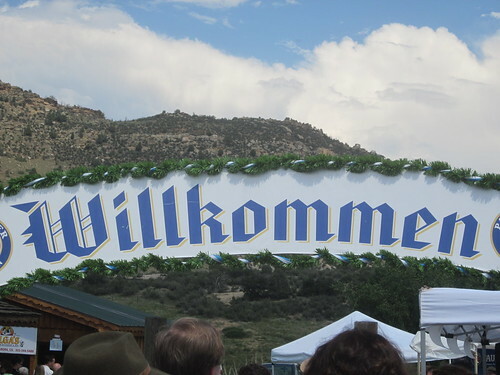 It is the German beer fest weekend! 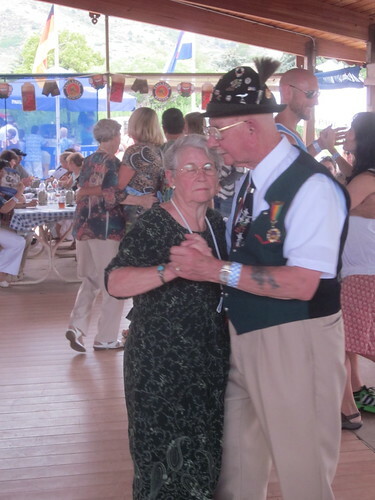 Commence a flurry of coordination of tight, Bavarian bodices and that brings us to Saturday afternoon where my friends wore the most amazing clothing to a rather fun gathering of folks who love to polka. 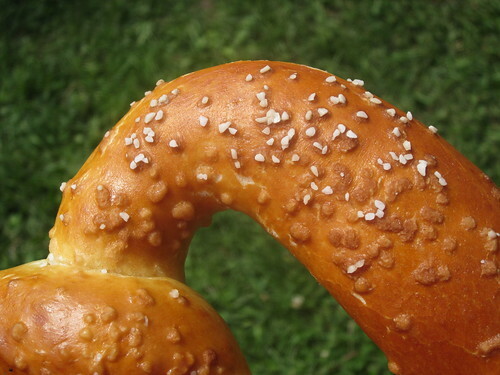 I’m not sure what is better: a festival focused on delicious carbs and goofy dancing, or having two girlfriends who were giddy at the thought of throwing on a costume to attend. Winner winner, brats for dinner. 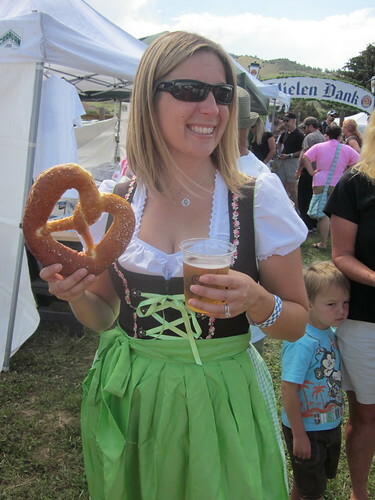 Everyone loves a German girl and a beer and a giant pretzel and a chance to wear a dirndl…looks like fun! 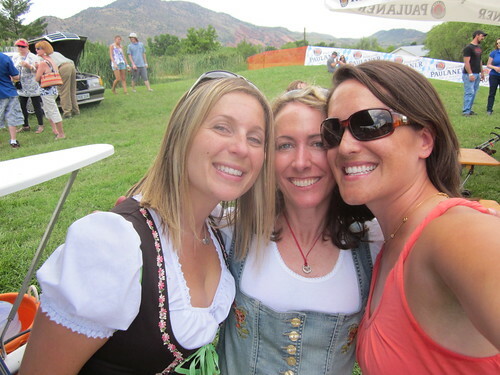 ohlala, don’t call a Dirndl a costume or you will have all the Bavarians and the Austrians running after you. 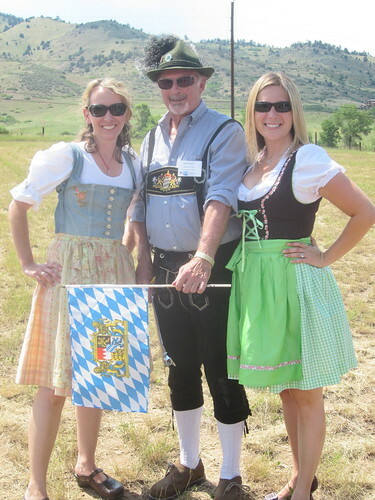 Not that I own one – being Austrian – living in Switzerland but I must admit, there are a view very nice Dirndls around. 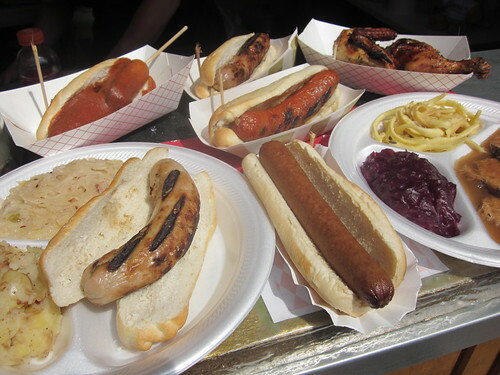 It really looks like a german fest!